It’s a unique challenge altering someone else’s woodworking project. I have my own design style and fully prescribe to George Vondriska’s philosophy that “it doesn’t need to be perfect, it just needs to be consistent”, so when I need to alter a piece of furniture I did not create, it’s often a struggle to find a reference face. 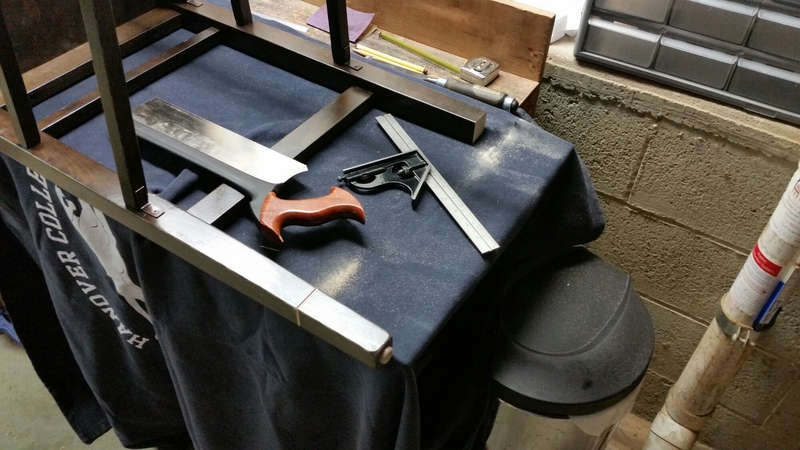 My brother asked me to help him trim down the height of some chairs he purchased on the internet for his kitchen counter, so I spent a couple hours Saturday with my freshly-sharpened Veritas carcass saw taking 4″ off sixteen chair legs. Thankfully, the front legs were almost square and pretty much perpendicular to the floor, so I had a decent reference face. That’s gross pine and spray finish for you. I realized pretty quickly that I should have brought my 24″ blade for my combination square, but everything turned out alright in the end. And it was good saw practice, if on pine. 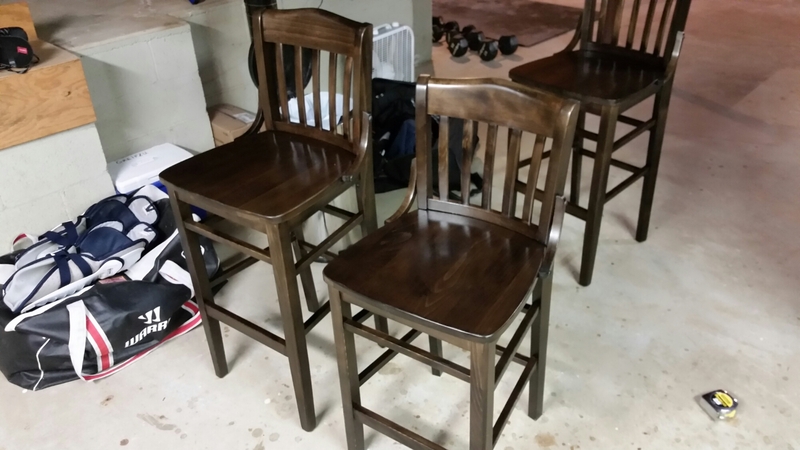 There was a bit of wobble on the finished product, but between the unevenness of the floor and the flex in the chairs themselves, it was fine. I of course would have made the chairs myself I’d he had asked me, but he wanted them sometime this year. It was just nice to saw something after three weeks straight of 18 hour days.